I love when I get feedback from you guys! Recently, I have received requests for more ship and vehicle patterns. So that gave me a great excuse to get all the beads out again. #1 and I created a bunch of new patterns, so from now on I promise I will add more vehicles into the mix. 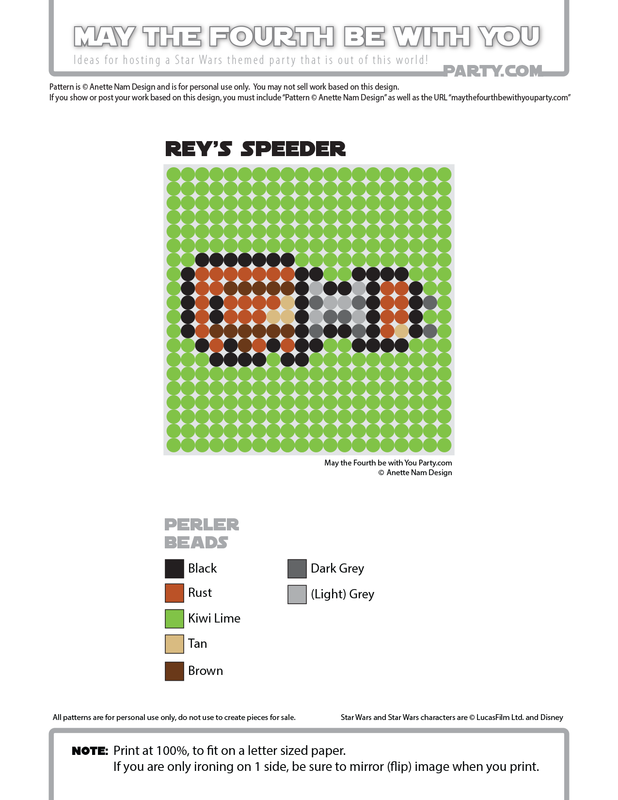 Let’s start with Rey’s speeder. It looks more like a bike than a speeder, actually. She made it herself out of traded spare parts and things found at the Starship graveyard. It might not be particularly pretty, but according to Wookieepedia, it is extremely powerful and fast – perfect for a scavenger. 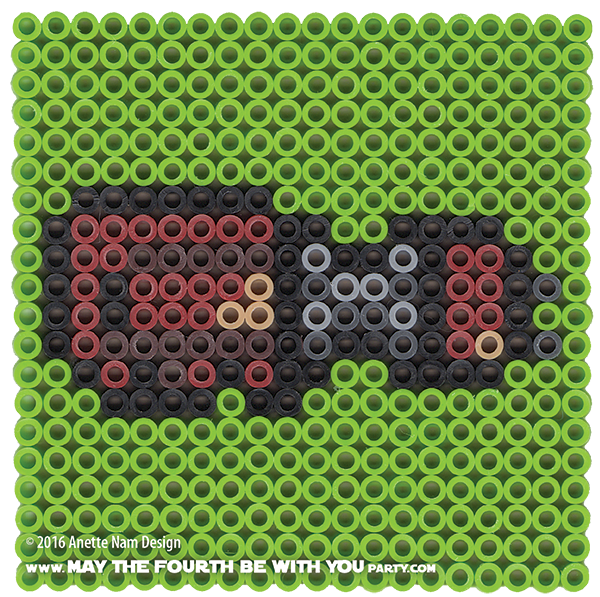 Here is the 14th of our The Force Awakens patterns, and #43 in the Perler bead/cross stitch/crochet/knitting/Lego/pixel/mosaic pattern series.